Long distance relationships are intimidating to many people. Without even the basic physical side of a relationship - no kisses, hugs, sly smiles, or knowing winks - many couples are unsure whether they can stick together while they are far apart. With dedication and a few reconnecting techniques, however, a true romance can survive no matter how many miles may separate the participants. Couples involved in a long distance relationship may need to resort to special tactics to keep their communication alive. Since the element of physicality is, for all practical purposes, eliminated during day-to-day life, this important aspect must be simulated using other means. In today's technological society of free cell phone calls, unlimited email, text messaging, phone cameras, and chat rooms, it may seem easy to overcome the obstacles of a long distance commitment. In fact, the latest affordable technology is video phone software. While nothing can replace the magic of just being there, with video calling you can at least see as well as hear the person you're talking to, which makes the connection more personal. All you need is a computer, webcam, and high speed Internet connection to talk as long as you want for free. None of those communication methods, however, can compensate for the lack of physical contact and connection with a significant other. Text characters on a screen cannot convey emotion no matter how many emoticons are used, and a few still photographs or a webcam image are not equivalent to a vibrant smile, personable laugh, and gentle touch. To truly feel connected with your significant other from far away, it is vital to maintain a physical link through the postal service: hand-written letters, care packages, and surprise deliveries truly bring a long distance relationship closer. Using unique stationery for each letter - papers and cards sent only to that special someone. Sealing each letter with a lipstick kiss or other private symbol. Enclosing photographs or other material (recent receipts, ticket stubs, etc.) to let the other person feel involved. 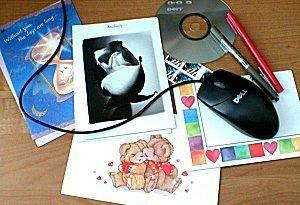 Creating care packages with longer letters, favorite foods, voice tapes or CDs, and other personal items. Exchanging clothing that "smells right" - a hint of perfume, aftershave, or cologne can make it seem as if the other person just wore it. Choosing a private time to speak on the phone without interruptions - before bed is a good time when both individuals can say good night and sweet dreams. Naturally, one of the best revitalizing techniques for long distance relationships is to meet in person whenever possible - while on leave, during holiday breaks, or just for a surprise weekend. For many couples, however, that may not be financially possible, and developing personal traditions to augment the relationship is vital to its success. A very significant aspect of surviving a long distance relationship is to be intentional. Couples who have a vision of what they expect to achieve from their long distance partnership will behave in a more goal-oriented fashion. Long distance definitely presents a challenge for couples who are just getting to know each other. One of these challenges is the question of whether the couple will ever be in a situation other than long distance. Have plans to move in the future? Have an ultimate goal for your relationship? Long distance is not for the faint of heart. If the answer to either of the above questions is "no", then you both may find yourself floating through the next few months in a somewhat nebulous and confused fashion. Why would anyone want a to have a relationship so far apart? Depending on the circumstances, it can actually be beneficial on several levels. If a couple is at separate universities, they can concentrate on their studies more consistently rather than be concerned about as many social events or finding dates. Both individuals can discover their personal strengths and weaknesses and learn to be self-sufficient prior to a more committed relationship in person. The same argument for self-sufficiency can be made for married couples who are temporarily separated under a variety of circumstances, as well as for couples struggling to reconcile potential differences in their relationship. Long distance relationships also lead to deeper, more fulfilling relationships in the long run. Because the couple cannot rely on the physical aspects of their partnership, they must explore one another's personalities more fully, learning more about each other's likes, dislikes, history, and dreams than they may have discovered otherwise. This can help a love relationship develop into a long-term, committed partnership based on far more than fleeting physical attributes. Even as society becomes more connected with advancing technology, long distance relationships can flourish and prosper to create loving, committed couples who can function confidently both as individuals and as a united couple. No matter what the circumstances of the separation, with a bit of effort and personal ingenuity, a distant relationship can be just as fulfilling and meaningful as any close-contact partnership.